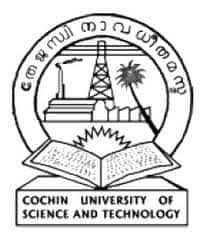 CUSAT CAT Answer Key 2018 will be released by the Cochin University of Science and Technology (CUSAT) after the termination of the exam which will be conducted for the admission in different courses. The candidates will be able to evaluate their scores before the declaration of the CUSAT CAT Result. The Cochin University will then evaluate the answer sheets and then declare the final result. The CUSAT CAT Answer Key will be provided below on this page for the various courses. CUSAT CAT is an entrance exam for admission to Cochin University of Science and Technology (CUSAT). It is a computer-based exam which will be conducted in April. CUSAT CAT provides admission to eligible candidates in various undergraduate & postgraduate programmes (other than MPhil & MTech) on the basis of CAT Rank. The CUSAT CAT answer key will be released for the following given courses. The CUSAT CAT exam will be conducted in April 2018 for the admission to B.Tech programme and all other PG level programmes. 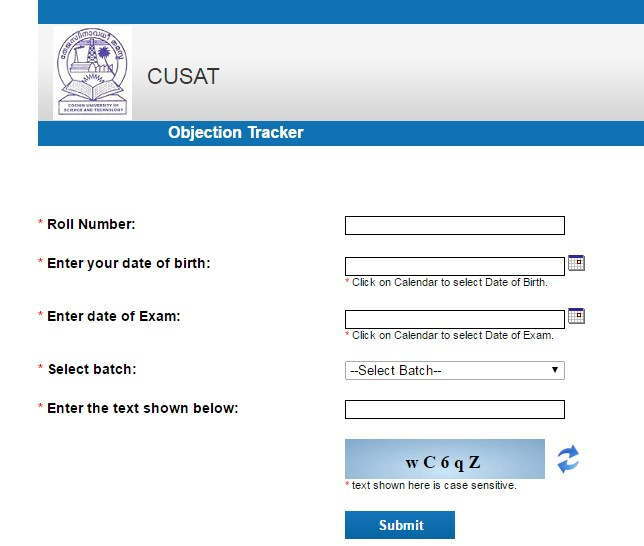 The CUSAT CAT answer key will be released officially in the online mode which means they can be seen by login into the account using the roll number of the candidates and other details listed below. Only the candidates who have appeared in the CUSAT CAT Exam 2018 will be able to check their responses and the correct answers by following the link given below. The candidates who have appeared in the CUSAT CAT 2018 Exam will have to follow the given steps to check the CUSAT CAT Answer Key and the responses entered by them. STEP 3: Now the candidates can check the responses entered by them in the digital copy of the OMR Sheets and the correct responses against them. STEP 4: Candidates can challenge the CUSAT CAT Answer Key 2018 and the procedure for the same is given below. Candidates can track the objection in their answer keys using the same link which will be given above. However, if any of the candidates have any objection regarding the answer key then they can challenge the answer key within a given time period. Since the candidate's responses and the Correct responses are given there. The examinees would be able to estimate the idea of the scores which they probably score and it also helps the test takers in analysing how many answers of theirs are incorrect and how many are correct. If there is any discrepancy/ error in the Answer keys displayed, the candidates have to report it to the university officials directly along with the documentary evidence in support or through corresponding email ID specified herein. CUSAT CAT 2018 Result for the exam to be conducted in April 2018 will be available soon on this page. The Student has to download the CUSAT CAT Result 2018/ Score Card Online and no separate CUSAT CAT 2018 Score Card would be sent by post. The students can check their CUSAT CAT 2018 Score for all the courses will be made available here on this page once available officially. CUSAT CAT 2018 Result is expected to be available after the last week of May 2018. The candidates are suggested to follow the link below to know more about the CUSAT CAT Result. In case of any query related to CUSAT CAT Answer Key 2018, you can write to us in the comment section below.